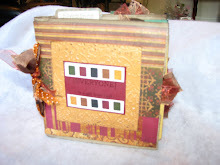 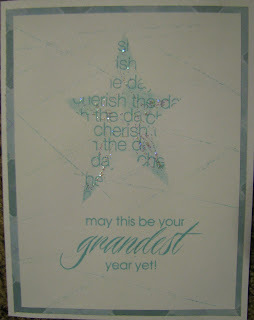 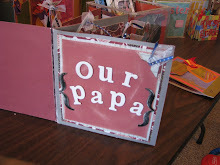 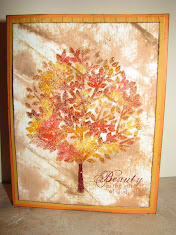 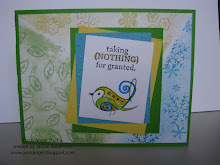 Thanks to Lisa Stenz for the idea on creating a stencil with the Art Philosophy Cartridge. 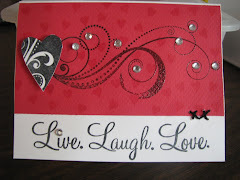 It's a technique I have used before but it was a very good reminder and got my creative juices going. 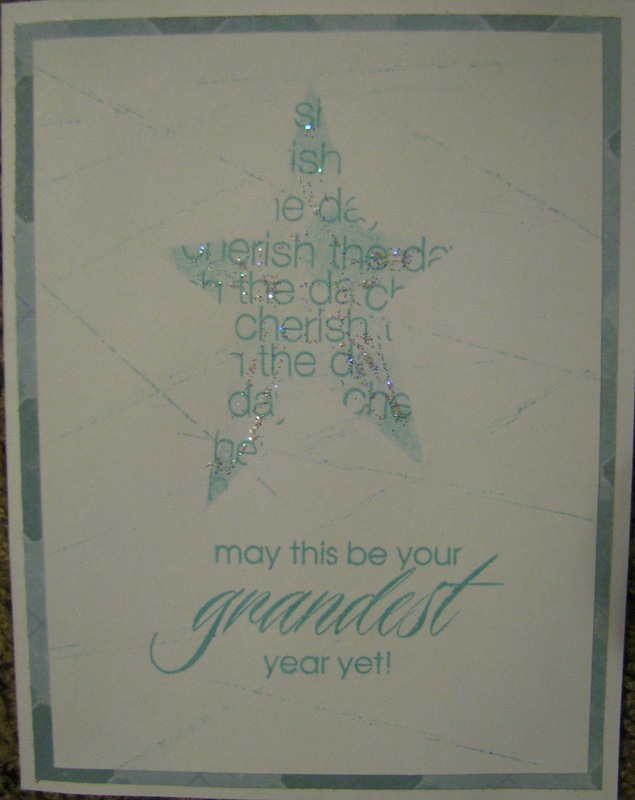 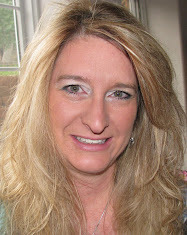 I cut out a heart, snowflake, star, flower, ornament, tree and fluer di lis accent and used my newest stamp sets Cherish the Day, Everlasting Life, Hooray Bouquet and a tried and true favorite of mine, A Little Thanks. 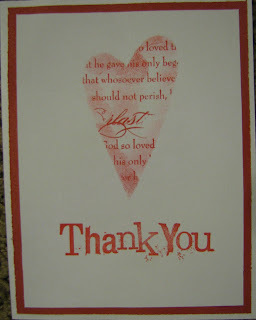 I just used the coordinating color cardstock and inks in these two thank you cards. 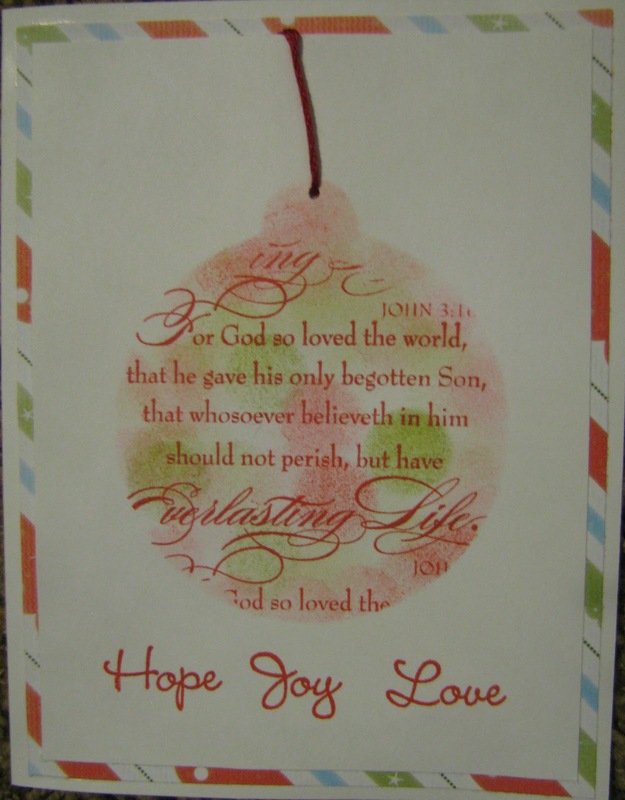 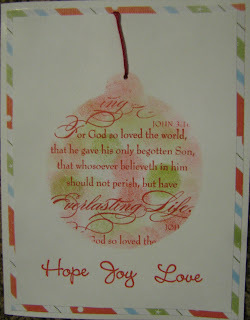 Than, I deviated and made some Christmas Cards using an ornament and Christmas Tree and paper from Believe paper pack. 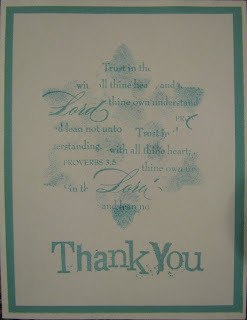 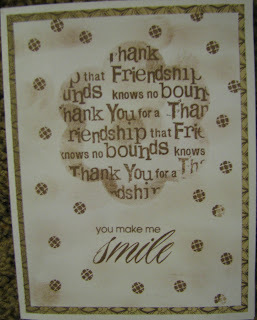 I sponged in ink color over the stamped words with sponge daubers. 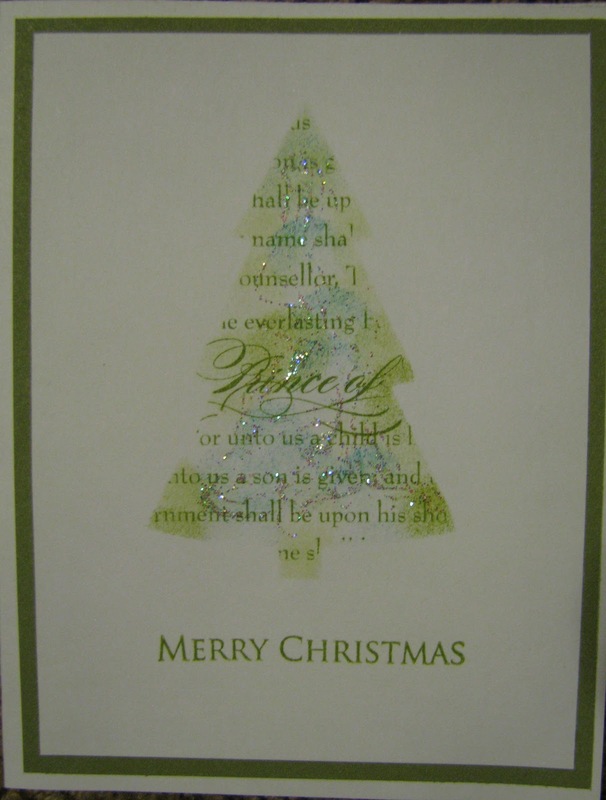 I added a second color to these Christmas cards to make them extra special and added Glitz Glitter Gel in very small amounts that I spread around with the tip of the bottle. 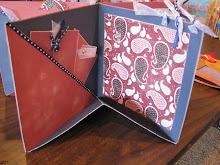 Than, I started thinking about the next Project Playground in January and decided to make a birthday card. 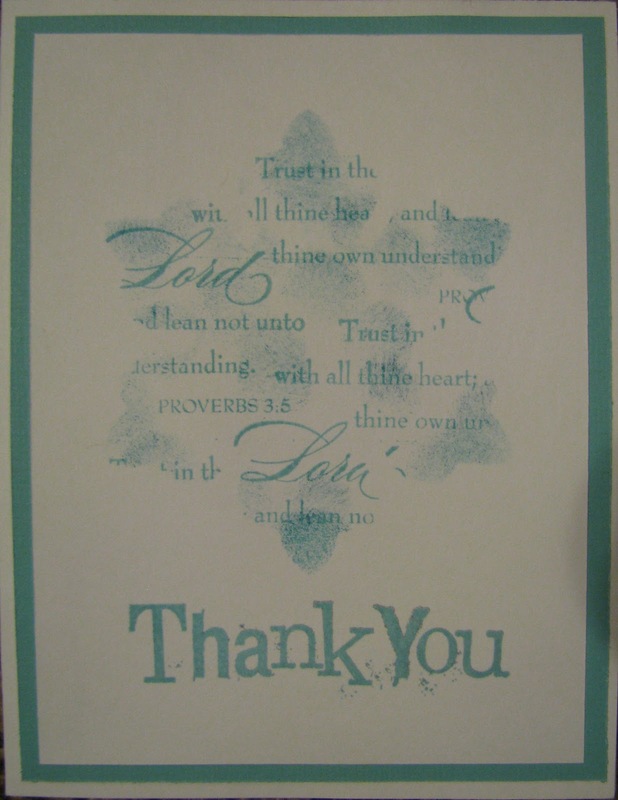 I was using a block that was a little too big for the stamp I was using so the ink got on the edge of the block and made a line. 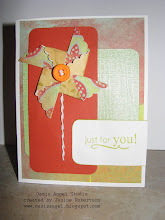 Well, I decided to make some more of those lines in various directions which gave a neat distressed background effect. 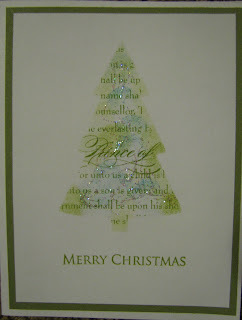 I used the Wonderland Paper pack paper with this card. 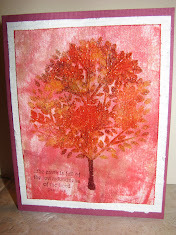 I was wishing for more vibrant color inks and papers at this point so those are now on my wish list. 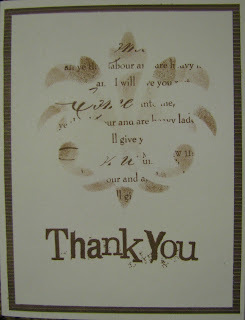 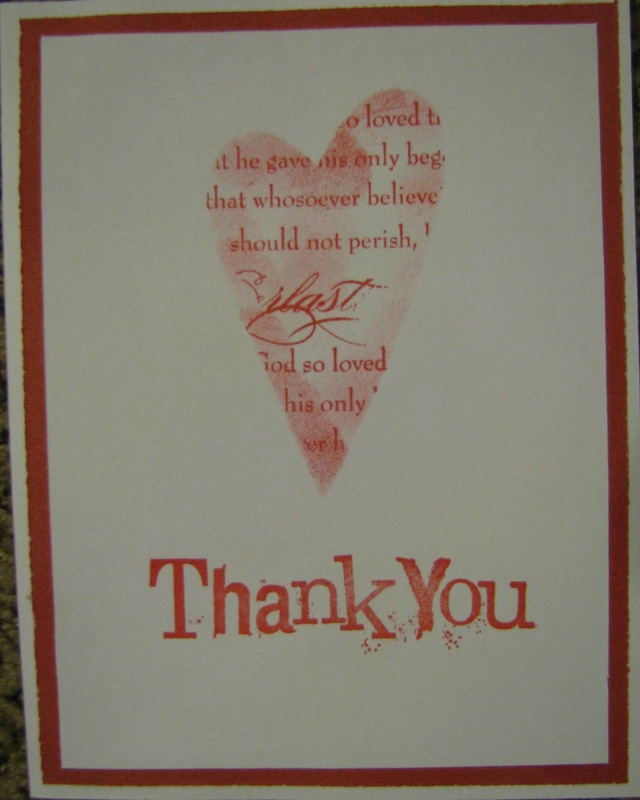 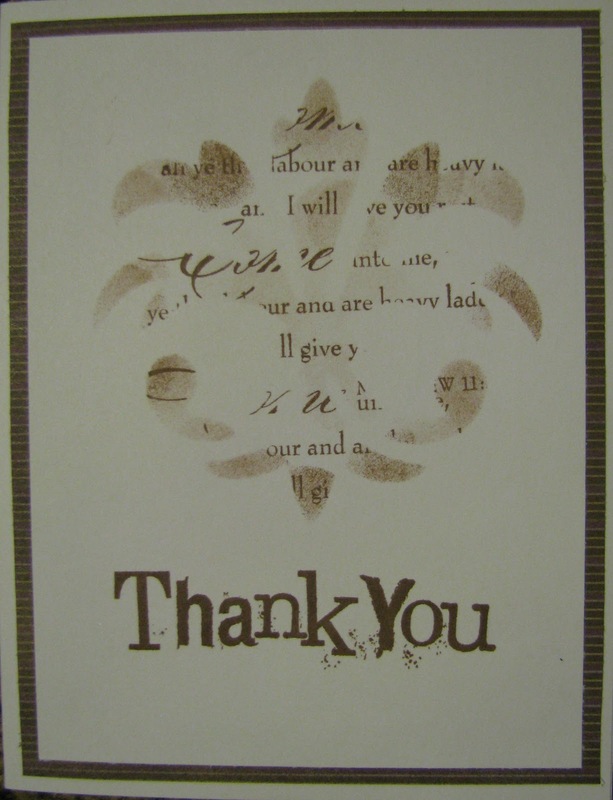 So, I went back to making Thank you cards with the Fluer di Lis accent. 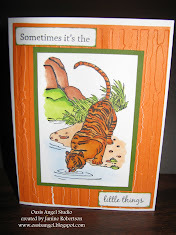 I made over 60 cards! 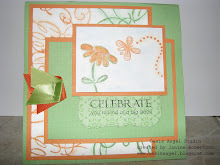 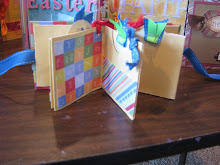 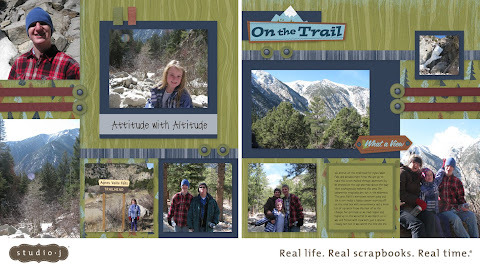 To make a set of six you will need: 1 12 x12 sheet of paper for your colored background which is cut at 4 x 5.25" and white card stock cut at 3.75 x 5" and of course a template cut out of scrap card stock and the coordinating ink colors. 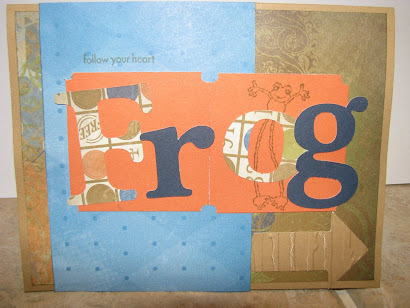 The possibilities are endless and easy with this technique. 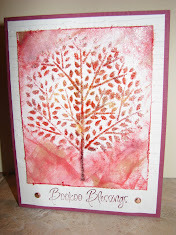 I can't wait to get more ink colors and papers to play around with this.